For those of you that are living off the grid or in a remote village in Siberia we would like to fill you in on the historical race that took place May 20th, 2017 at Wilkesboro Dragway in Wilkesboro, NC. 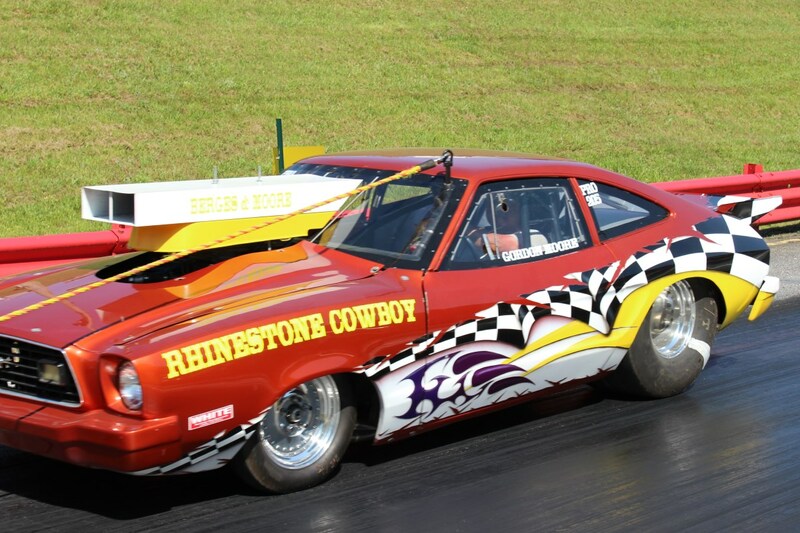 It was billed as the Don Carlton Memorial Nostalgia Pro Stock race or as it is affectionately known as “the Woodstock” of Nostalgia Pro Stock. The idea for this event came from Jeff Rudisill and Tyrone Graham to honor the memory of the late great Don Carlton. “This was the second year for this event. Last year went ok but we knew it could be bigger and better” said Jeff. Tyrone and Jeff then reached out to the MWNPSA members Mark Pappas and Mike Ruth for some help and advice. Between the four of them they were able to pool their resources and more than double their ideas which resulted in “an experience nothing short of incredible” echoed Tyrone. As our loyal readers know, Nostalgia Drag World travels around the Country to many different venues and we have to tell you that the Don Carlton Memorial Race was unequivocally one of the largest most professional and just plain fun races we have ever covered. 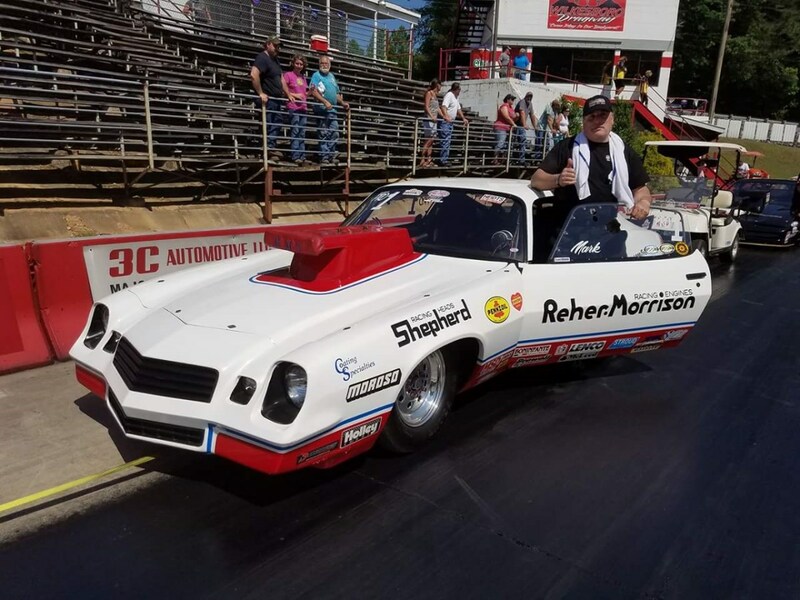 Over 25 Nostalgia Pro Stocks from all over the Country made the pilgrimage to Wilkesboro which is now being called the Mecca of Nostalgia Pro Stock. Besides all of the iconic cars, many of the original Stars of that era were on hand to sign autographs, take pictures, bench race and a couple of them even traversed down the famous drag strip. Terry Adams, Jerry Eckman, Bill Orndorff and Ronald Dean Sox were just a few of the racing celebrities participating in the festivities. We saw a lot of our fellow photo journalists all striving for that perfect shot! All together we counted 5 magazines including Becky White from “Quick Times Racing News” covering this historic gathering. Fans of all ages were thrilled to see the awesome replica of their favorite factory hot rod. Several “Grumpy’s Toys”, “Sox and Martin”, “Billy the Kid Stepp”, “Orndorff and Eckman”, “Butch Leal”, “Reher-Morrison”, “Frank Iaconio”, “Ed Miller”, “Akron Arlen Vanke”, “Hipple - Haas”, “Joe Lepone, Jr.”, “Darrell Alderman”, “Terry Adams” and for the Ford fans “Rickie Smith” and 3 different “Bob Glidden” cars. 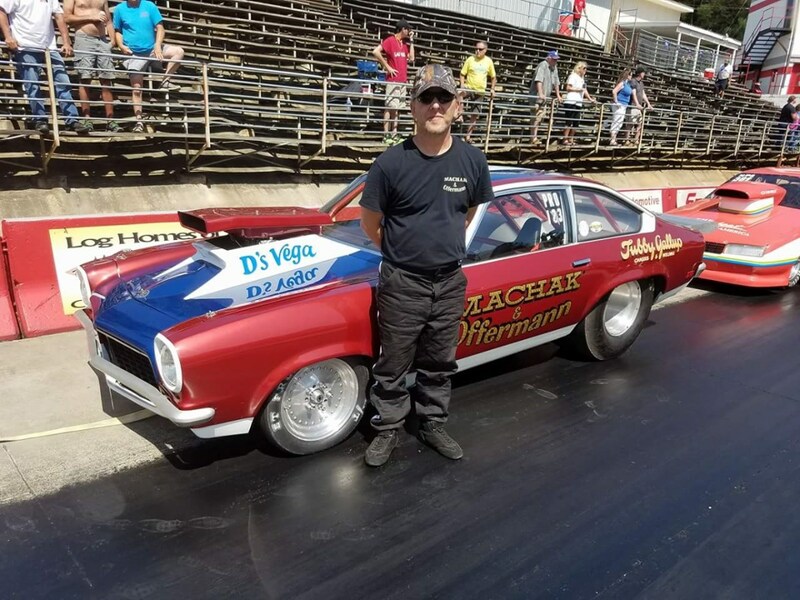 Besides all of the nationally famous cars, several cars that competed on local scenes were also in attendance like the “Machak and Offermann” Vega and the “Rhinestone Cowboy” Mustang. The weather was predicated to not be favorable for racing and that may have kept a few fans away but on race day the sun was shining and it was a picture perfect weekend. The fun started Friday night with a driver, crew member and media get-together for a treat of pizza and homemade goodies courtesy of track owners Pat and Phil Prout. Saturday morning all the cars lined up for a fan photo opportunity and then they participated in the “missing man formation” parade lap to Honor the late Don Carlton. The drivers then suited up and for the next 6 hours everyone in attendance was treated to nonstop nostalgia pro stock racing with all the cool stuff you remember! The show gave fans long smoky burnouts, dry hops, staging duals and side-by-side gear banging action. The fans were on their feet most of the day cheering for their favorite drivers and cars. 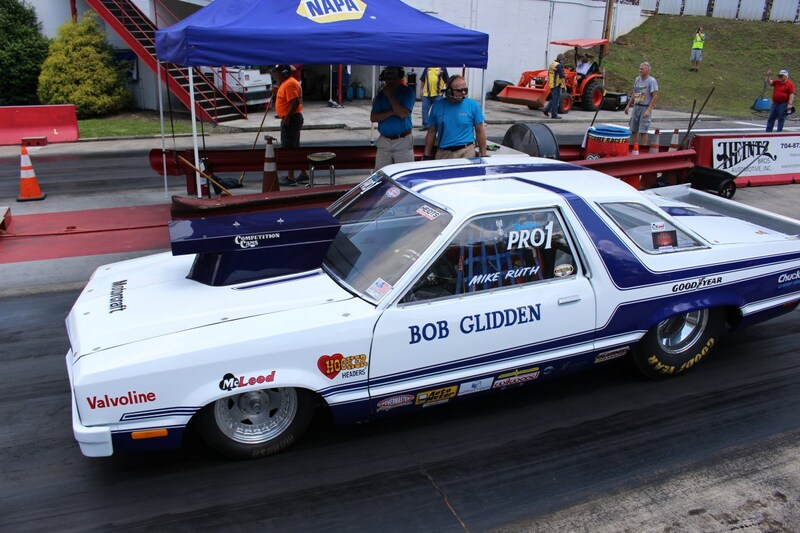 “Hats off” to both the Southeastern Outlaw Nostalgia Pro Stock organization and their brother group the Midwest Nostalgia Pro Stock Association “Paying Tribute to the Legends”. Jeff, Tyrone, Mark and Mike and to everyone else that had a hand in or participated at this event, kudos to you! Great Nostalgic Fun was had by all attendees while remembering the Legends of this great sport and to now become a small part of history by participating in the “2nd Annual Woodstock of Pro Stock” peace and love to all event. Nostalgia Drag World was proud to be invited and we have already booked our hotel rooms for the 3rd Annual Don Carlton Memorial Race in 2018!